There is nothing better in life to a dog than going for a ride. Except, of course, the destination, as long as it’s somewhere fun. 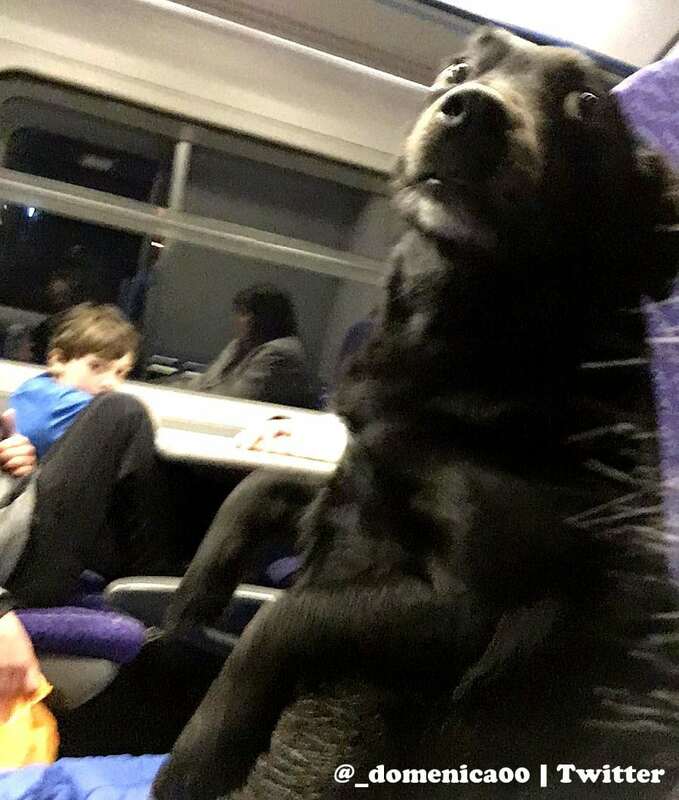 This dog was super happy to be taking a train ride with his human, and was a very good boy and sat in his seat just like a regular person. Domenica Smailes was on a train in the UK when she was pleasantly surprised to have a dog seated next to her. 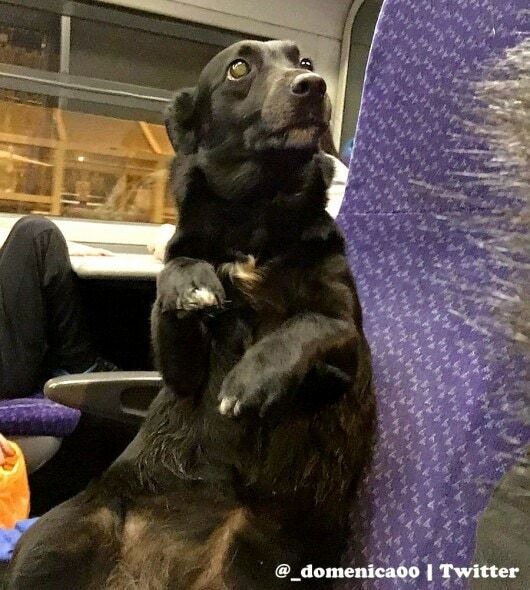 “I was on the train from Cowdenbeath through to Edinburgh, and it sat beside me the full way,” she explained. How lucky she was! 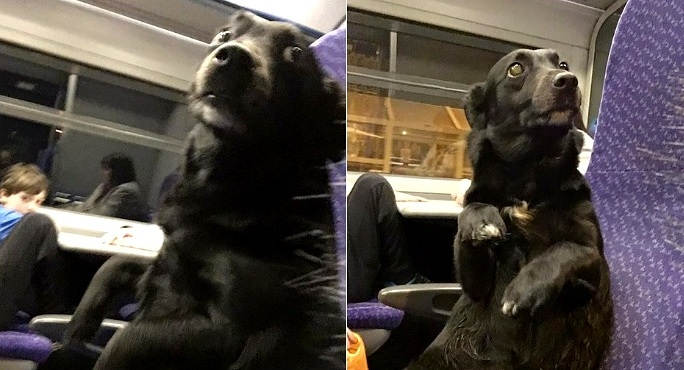 That dog was probably a much better traveling companion than most people ever have.